ISISLab | ISISLab is a research lab of the Dipartimento di Informatica of the Università degli Studi di Salerno. Our main research interests are Distributed Computing on the Web and Computer Graphics. 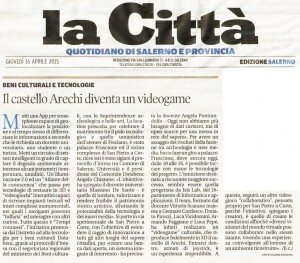 ISISLab is a research lab of the Dipartimento di Informatica of the Università degli Studi di Salerno. Our main research interests are Distributed Computing on the Web and Computer Graphics. See the directions and the map of the campus. 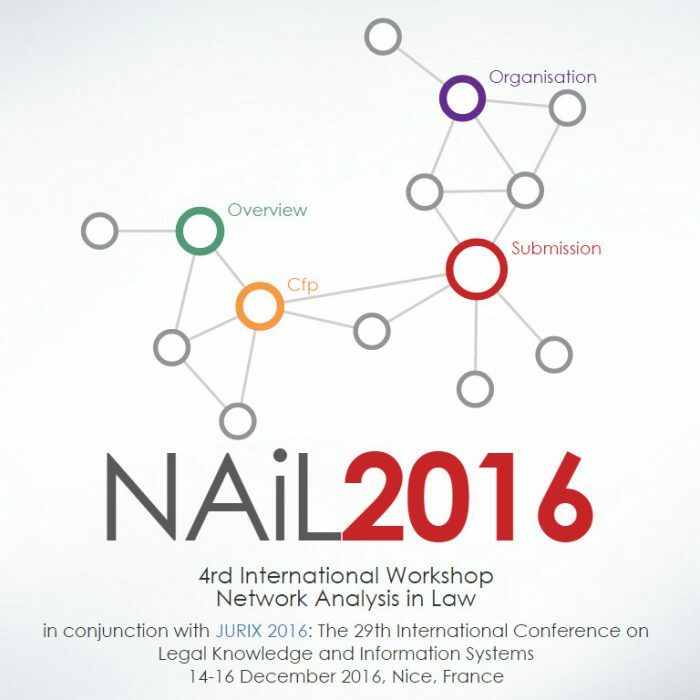 Prof. Vittorio Scarano will hold an invited a talk: “How to help citizens in making sense of Open Data” during Open Legal Data Workshop (in conjunction with JURIX2015 and NAIL2015 on December 9th, 2015. 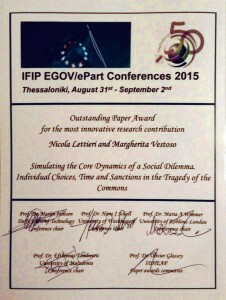 We are very happy to announce that Nicola Lettieri won the Outstanding Paper Award for the most innovative research contribution at the 14th IFIP Electronic Government (EGOV) and 7th Electronic Participation (ePart) Conference 2015 (Thessaloniki, Greece) for the paper «Simulating the Core Dynamics of a Social Dilemma. Individual Choices, Time and Sanctions in the Tragedy of Commons» by Nicola Lettieri and Margherita Vestoso. 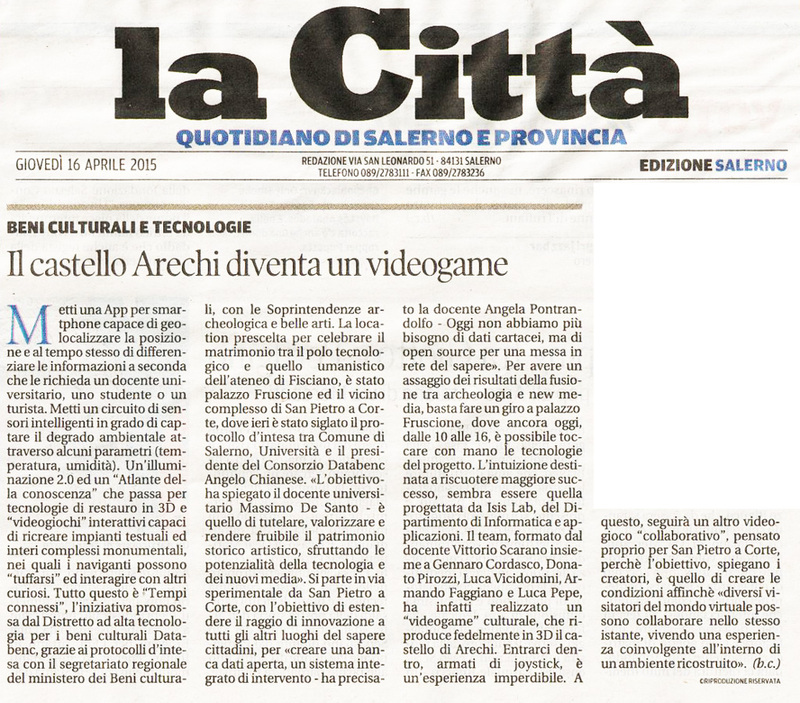 A local newspaper (La città di Salerno) reports about our project for a 3D, multi-device, multiplayer, immersive videogame made with Unity, Oculus Rift and Microsoft Kinect.